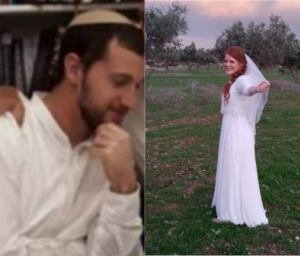 This past Sunday, Israel was struck by the sudden tragic deaths of two amazing young women. 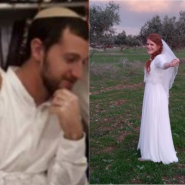 25-year-old Rivka Kapshuk, who got married just 3 weeks ago on December 24th, was killed in a car accident (her husband Tom (Tom ben Orli) remains in critical condition). 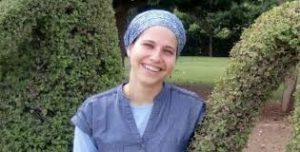 Rivka was a popular teacher at the Tsvia Maaleh Adumim High School, the daughter of Rosh Yeshiva Rabbi Yeshayahu Doron. “Hadas, even in times of crisis and difficulty, I always knew that you would arise from it stronger than ever. You were the spirit of life in our home. “You loved the children more than anything, you were determined to bring out of each one as much good possible. “You loved the Shabbat table, it was always something special for you. “You made us happy with little notes, short songs. You picked up on the little things that could make somebody’s day. You always knew how to put the right note in the right hiding place, with something funny to make us smile. “Your speech was always clean, always focused on the positive. “You couldn’t stand gossip, cheap jokes. You ran away from disagreements like they were fire. You were always the first one to calm down. “You were my compass, you were the conscience, I depended on you, I’d come to ask your opinion. “My teacher, Rivka, you were a true teacher. Someone who showed us the way to live. 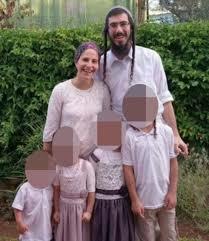 “You would ask us every Sunday morning if someone wanted to share how she had spent that Shabbat. You wanted to know and to listen. “Recently, out of the blue, one girl asked you: HaMorah, how was Shabbat this week for YOU? “With a big smile you answered that this was your first Shabbat together with your husband Tom in your new home. In his eulogy for his beloved daughter, Rabbi Doron addressed the students at the high school which Rivka herself attended and where she was a 9th-grade teacher. He said that Rivka’s final request from them would have been that they should establish many homes, strong, faithful Jewish homes. Like she had so dreamed to build herself. What a terrible loss for their families, their students, for Israel, and for the entire Jewish people. May the memories of Hadas and Rivka be blessed and may their grieving families find comfort among all the mourners of Zion. These two tragedies took my breath away. What sad sad stories. I hope that their families find some light in the darkness. Are you aware of any efforts to help them? kol hakavod, sounds like an incredible project!